1 Bdrm 1st flr Flat. Hall. Lounge. Kitch. Bdrm. Bathrm (CT Band - A). Parking. Price over £114,000 Entry by arr. Viewing 07917 186607 or contact solicitors. at evenings and weekends (EPC band - E). 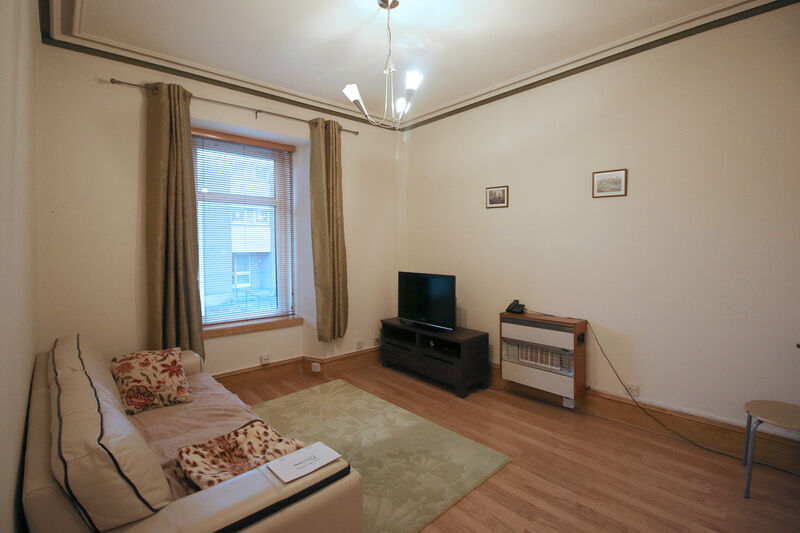 We are delighted to offer for sale this extremely well presented, one bedroom first floor flat, housed within a traditional granite tenement in the popular Rosemount area. The property benefits from full double glazing, gas central heating and security entry telephone system. There is laminate floor throughout the flat, except for the kitchen, which has ceramic tiling, and the bathroom, which has a vinyl floor covering. 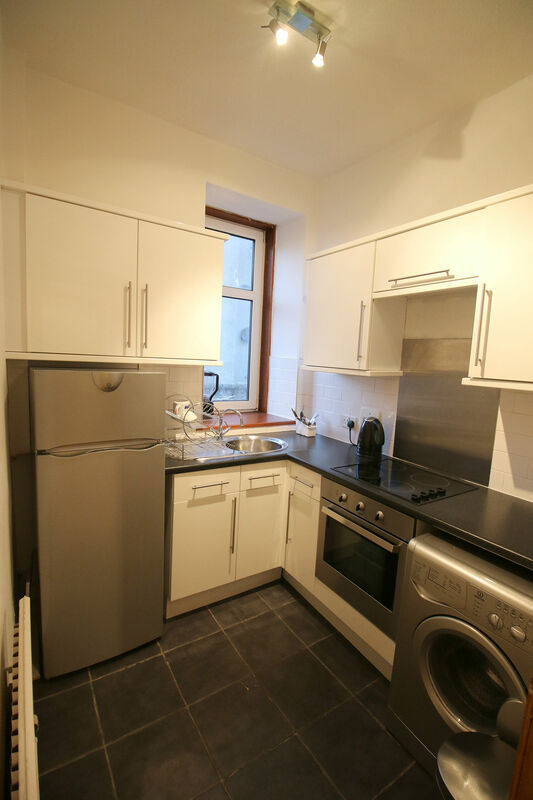 Included in the price are all curtains, blinds, light fittings, the fridge freezer and washing machine in the kitchen, and there is an integrated ceramic hob and fan assisted oven, also in the kitchen. Farmers Hall is situated just off Baker Street and enjoys easy access to the main arterial routes to all parts of the City, Aberdeen Airport and the Hospital complex at Foresterhill. There is a good variety of local shops and amenities nearby, and Westburn and Victoria parks are close to hand, as well as a variety of specialist shops on Rosemount Place. 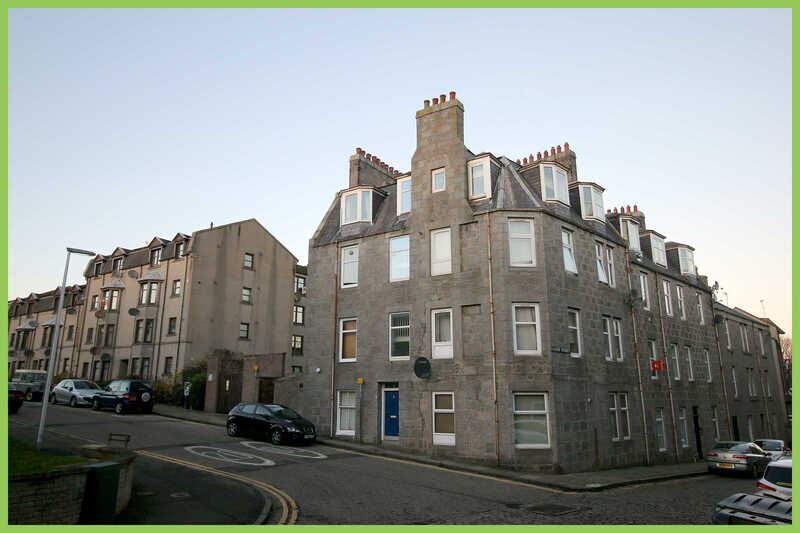 The flat is also within easy walking distance of Union Street. 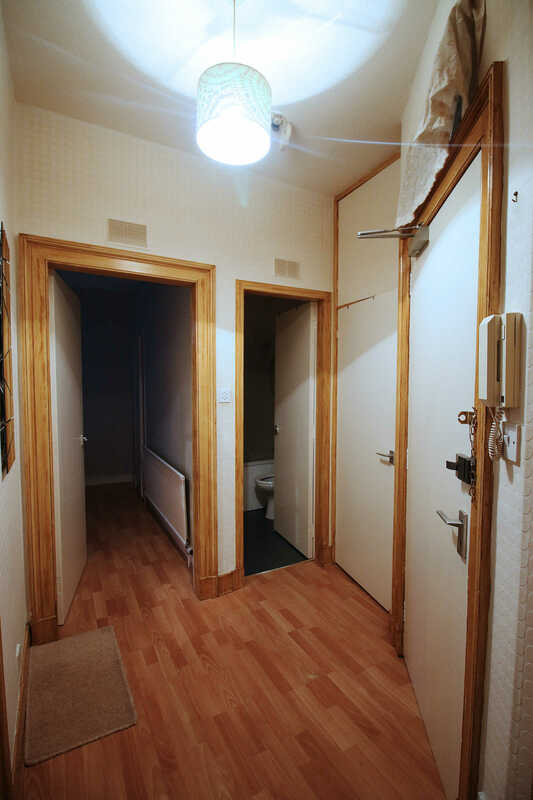 The accommodation comprises hall, lounge, fully fitted kitchen and bathroom with power shower. ENTRANCE HALL: This is a spacious hall off which all rooms lead. External hardwood door, deep storage cupboard, smoke detector, laminate floor, one single power point and security phone. LOUNGE: (13’3” x 11’2” approx.) 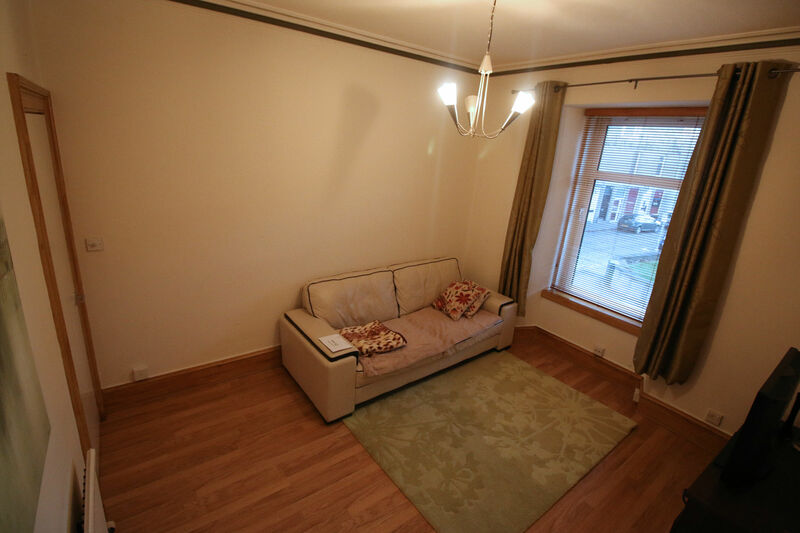 This is a well-proportioned lounge located to the front of the property, with a picture window decorated with a wooden venetian blind and full length curtains. There is a low level cupboard housing the gas meter and a wall mounted gas fire with back boiler. Single radiator. Four single power points. TV point. Telephone point. laminate flooring. Central light fitment operated off dimmer switch. This room is decorated in neutral shades. KITCHEN: (7’3” x 6’9” approx.) 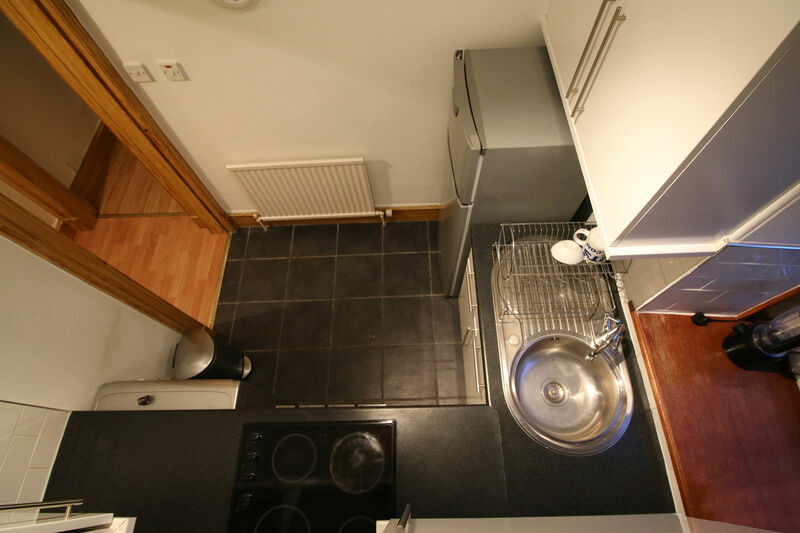 This is a well equipped kitchen with a window overlooking the side of the property. It is equipped with white gloss wall and base units, with contrasting worktops and splashback tiling above. The Indesit automatic washing machine, fridge freezer, Zanussi electric oven and ceramic hob are included. Inset circular sink with single drainer. Cooker control point. One double and one single power point plus those for appliances. Single radiator, halogen spotlights and ceramic flooring. 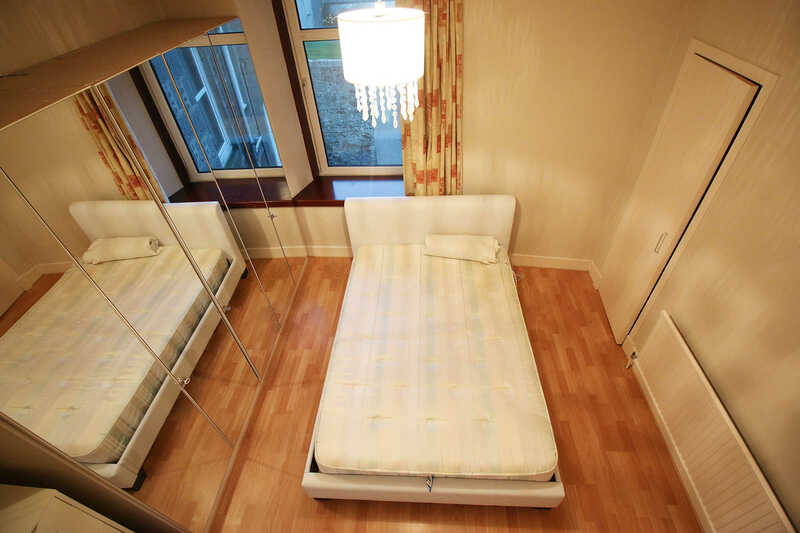 DOUBLE BEDROOM: (11’3” x 13’4” approx.) 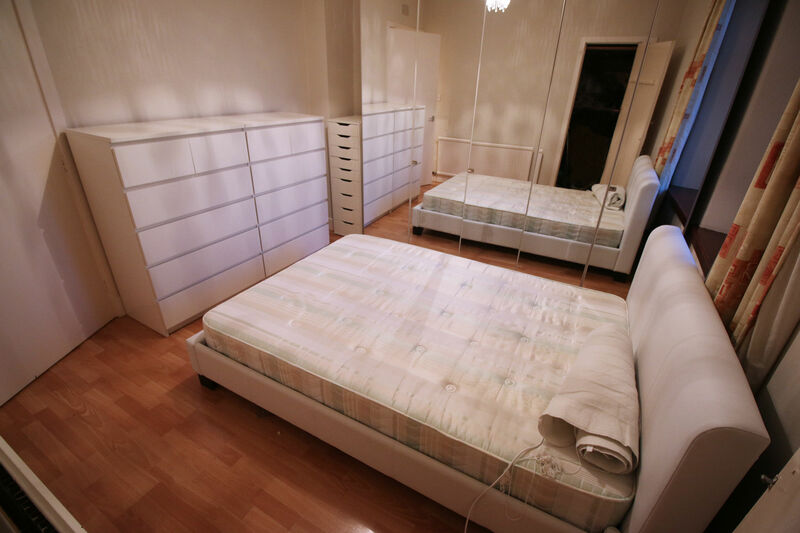 This is a spacious double bedroom overlooking the rear of the property fitted with wall to wall mirror fronted wardrobes providing a range of shelving and hanging space. There is an additional built in cupboard housing the hot water cylinder. Laminate flooring. Single radiator. Central light fitment. 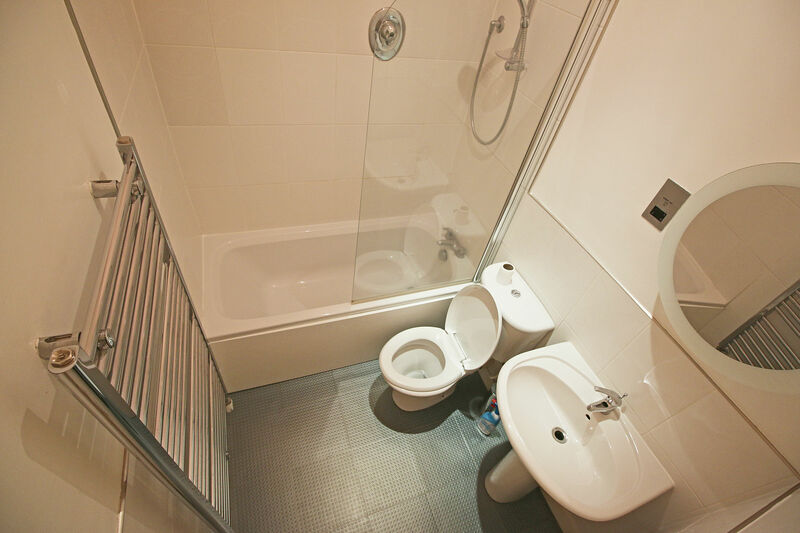 BATHROOM: Fitted with a three piece white suite comprising W.C., wash hand basin and bath with overhead power shower. Glass shower screen. Heated chrome towel rail. Tiling in bath area to ceiling height and elsewhere to dado height. Shaver point. Wall mounted mirror. Amtico flooring. Extractor fan. OUTSIDE: To the rear and accessed from the side of the building lies a shared drying area which has been laid in granite chips for low maintenance. A yearly parking permit can be purchased from Aberdeen City Council. DIRECTIONS: Travelling down King Street, follow that road past the back end of His Majesty’s Theatre and veer left at the roundabout at Woolmanhill. Go straight on through the roundabout and turn first left into Baker Street. Turn first right into Farmers Hall and number 2c is clearly marked by our for sale sign.